Written by chris maroulakos on Tuesday, September 6th, 2016 at 9:00am. In life, some things are just obviously true. Water is wet, the sky is blue, and The Kills put on a terrific show. That third truism was proven yet again when The Kills brought their sexually charged rock to the packed Observatory North Park on Saturday night. It was the duo’s first San Diego show in five years. Some things have changed since then. Guitarist Jamie Hince suffered a devastating injury to his hand in 2013, which resulted in five surgeries and the inability to use his middle finger. And while Hince and Alison Mosshart have historically played with a pre-recorded rhythm section, this tour finds them making use of a live bassist and drummer. But despite those developments, The Kills sounded just like they always have — which is to say fantastic. The band pulled an inexhaustible series of blistering tracks from their formidable discography, including “Sour Cherry,” “Fried My Little Brains,” and recent single “Doing It to Death,” off this year’s Ash & Ice. If Hince’s injury made it harder for him to play, you’d never know it. Song after song, he wrung brilliant riffs and fascinating tones from his guitar. And, perhaps most surprisingly, he even did it with a smile plastered to his face. 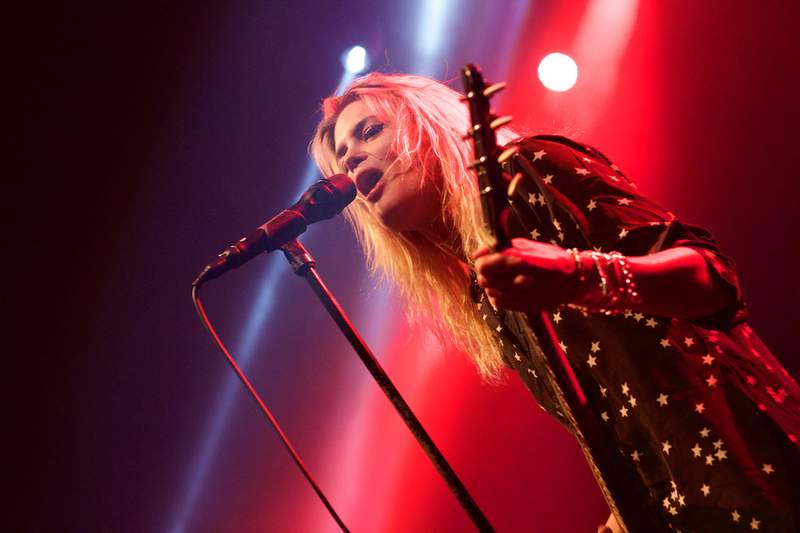 Mosshart, meanwhile, was a powerhouse vocalist, captivating stage presence, and all-around force of nature. But of course she was. Like we said, some things are just obviously true.